New England Patriots owner Robert Kraft on Patriots quarterback Tom Brady's missing jersey, NFL ratings, some Patriots players not visiting the White House with the team and the future of the Patriots. Brady’s Super-Bowl-winning game jersey has been missing since Feb. 5, when it disappeared from the team locker room shortly after the Patriots’ stunning 34-28 comeback victory over the Atlanta Falcons. The 39-year-old quarterback, who earned MVP honors in his fifth Super Bowl win, was visibly upset about the missing jersey in postgame media coverage. “It’s very sad to me that someone would do something like this. It’s like taking a great Chagall or Picasso or something. You can never display it. 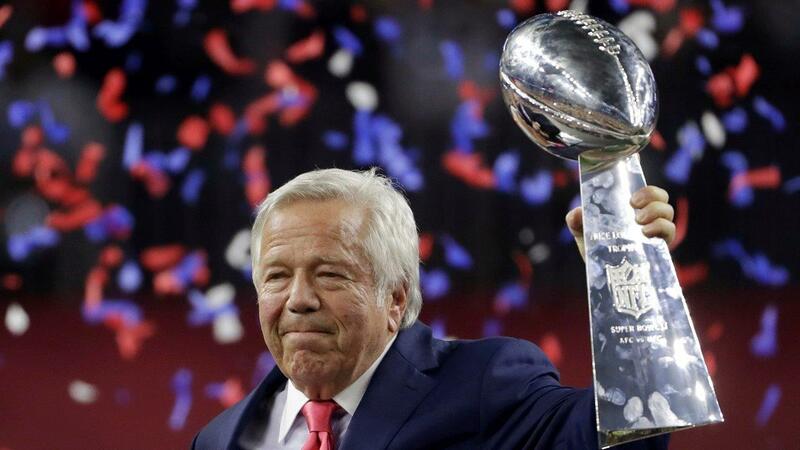 And somehow, I feel there’ll be some news that’ll clear this up in the not-too-distant future,” Kraft told the FOX Business Network’s Maria Bartiromo. While officials confirmed to FOX Business on Monday that the Houston Police Department is leading the investigation into “JerseyGate,” few details have been made public. Texas Rangers reps, who are assisting on the case, referred FOX Business’s inquiry to the Houston police. "Yeah, I put it in my bag, then I came out and it wasn&apos;t there anymore. So, it&apos;s unfortunate because that&apos;s a nice piece of memorabilia. So if it shows up on eBay somewhere, someone let me know, try to track that down," Brady said shortly after winning the Super Bowl, at the time the jersey was first reported missing. It’s unclear if the search for Brady’s jersey – and its potential thief – has progressed to the federal level. A FBI Houston representative said the local field office is “not involved” in the investigation at present. A spokesperson for the FBI’s office in Boston declined to elaborate. “In keeping with DOJ policy, we can’t confirm or deny the existence of an investigation,” the FBI Boston representative said. As of Monday morning, there was “no new information” related to the case, a Houston Police Department press officer told FOX Business.